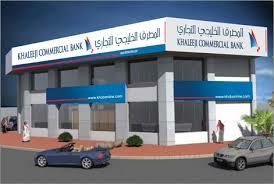 Khaleeji Commercial Bank (KHCB), a prominent Islamic retail bank, announced its financial results for the year ended 31 December 2015 recording net profit of BD 8 million compared to BD 3.8 million reported in 2014. The bank has recorded a net profit of BD 1.9 million in the fourth quarter of 2015 compared to a net profit of BD 1 million reported in the fourth quarter of last year. Total assets also grew to BD 654 million, increased by 9.6% compared to 2014. Return on average assets reached 1.3%. With these results, the bank sustained its profitability and strengthened its financial position with a liquid assets ratio in the excess of 22.5% and capital adequacy ratio of 18.8%. Based on the results, the Board of Directors recommends distributing 5% bonus shares (subject to AGM and regulatory prior approvals). Furthermore and as a continuation of its prudent management, the Board has allocated sufficient provisions this year as a precautionary measure against any possible effects on the Bank’s operations due to current economic instability in the markets and to maintain a strong capital position. Mr. Khalil Ismaeel Al Meer, KHCB’s Chief Executive Officer, said the bank has achieved many key objectives in the first year of its new strategy, both in terms of outstanding results and adding value to its customers and shareholders. He added that After having succeeded in executing the new strategy in the first year, the bank is entering the New Year with more enthusiasm but with prudence given the recent geopolitical and economic turbulences in the global markets. “In year 2015 and in line with the New Strategy, we have opened two new branches in selected locations to service new geography of the country,” he said. “In March we opened a new branch in Hamad Town (Souq Waqef), and in September we opened another branch in Isa Town bringing our total branches network to 10. The bank has also revamped its eBanking application by adding extra security features and launched its new mobile banking application. New products were also launched during the year. We are also in the process of opening our branch no. 11 in Juffair area very soon. Looking ahead, we will remain focused on our local market by offering innovative products and services to our customers, enhance our processes to speed up the turn-around-time and will further ease their reach to the Bank by deploying new electronic channels,” he said. Khaleeji Commercial Bank BSC (KHCB) is an Islamic bank licensed by the CBB, headquartered in the Kingdom of Bahrain, and operating under a Retail Islamic Banking license granted by the Central Bank of Bahrain (CBB). It is a Public Bahraini Shareholding Company listed on the Bahrain Stock Exchange. KHCB offers a comprehensive range of innovative banking and investment products and services to individuals, corporate entities, and financial institutions. These include commercial and corporate banking, wealth management, structured investment products and project financing facilities.